Ask the Higher Ed Analytics Prof! 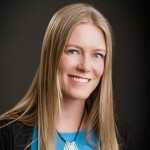 Lindsay Nyquist, Director of Digital Communications at Fort Lewis College, is one of the 12 higher ed professionals presenting at the 2016 Higher Ed Analytics Conference. In this 3-question interview, Lindsay tells us about the biggest surprise of 2015, the main challenge using digital analytics and what colleges and universities should focus on in terms of analytics in 2016. 1) What’s the most surprising outcome you experienced in 2015? What did you learn from this experience? The most surprising outcome I’ve seen in working with digital analytics is just how powerful they can be, and how they can drive so much of our decision-making. I used to casually measure social media statistics on the months that I remembered, but now I actively and regularly gather stats in all forms of digital communication: social media followers, engagement, reach, and posting frequency; email open rates, click rates, unsubscribes, and SPAM reports; virtual tour visits and time spent; and views on stories published. These statistics now drive so much of our strategy – what types of content to create and how to promote them, how to utilize email as an effective communication tool, and how to best use our limited marketing budget. 2) What’s been the biggest challenge at your school to use digital analytics since you started? How did you deal with it? I’ve been fortunate to have a lot of administrative support and institutional buy-in with my social media, but I have always struggled, as other public schools with declining state revenue can relate, with a tight budget. I use Sprout Social to manage most aspects of our main social media platforms, like publishing, reporting, and monitoring – but it is difficult to get funding for much beyond that. 3) In your opinion, what should your higher ed colleagues focus on in 2016 when it comes to Analytics? I think a priority for all of us in 2016 should be expanding what we currently measure and trying new things. With the rapid escalation of technology and apps, new things are able to be measured every day. In my session, I’ll discuss some ways to measure Snapchat – something that was impossible just a few years ago, but now possible through changes to the platform and new startups tacking the issue. Keep exploring! 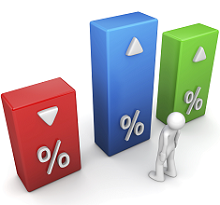 Want to learn how to use more Web Analytics in Higher Ed? Get ready for 2019 with the 7th #HigherEd Analytics Conference! 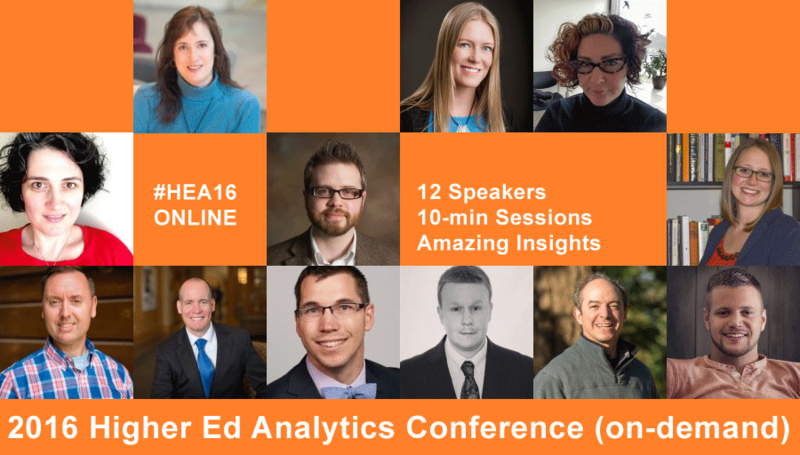 Get ready for 2018 with the 6th #HigherEd Analytics Conference!